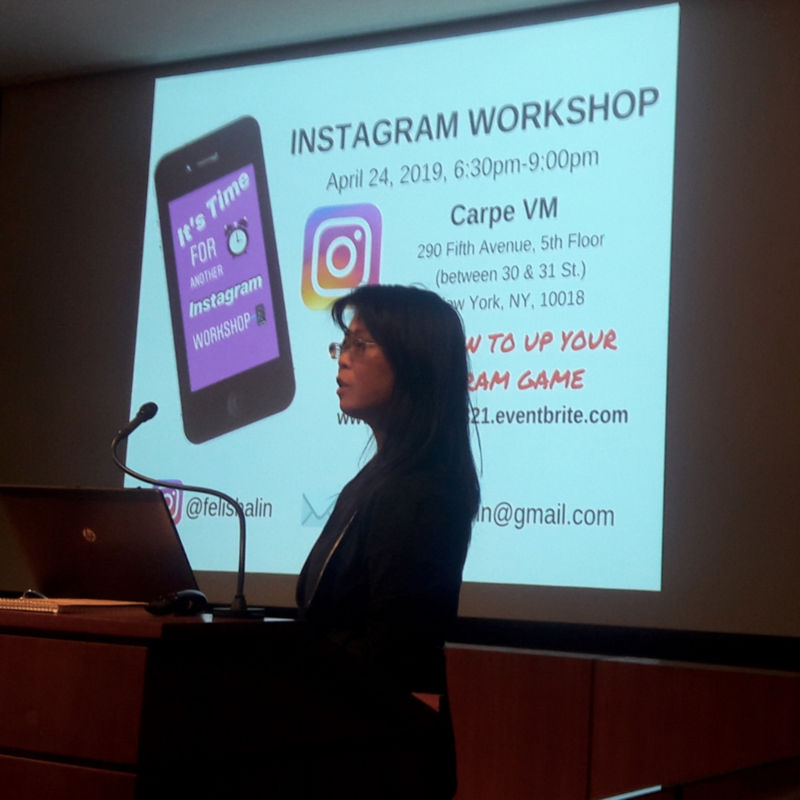 I had a lot of fun doing research for my workshop about Facebook and Instagram at the SCORE Digital Media Summit last Monday. Can you believe it’s been 15 years since Facebook sprang onto the social media scene and about 7 years since Facebook bought Instagram for $1 billion? I remember all the uproar when Instagram changed its logo to the present one. As I was doing some research I found early versions of the Instagram logo that you see on the screen behind me (in the top photo above). 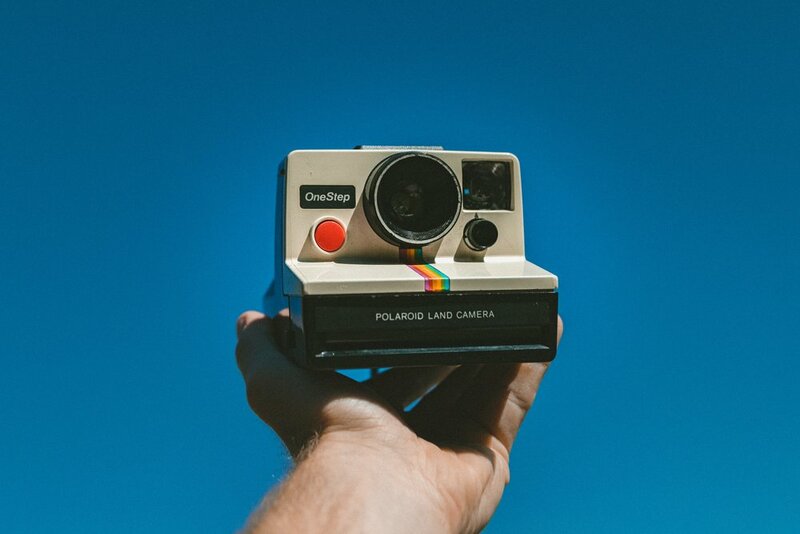 Since much of Instagram’s early aesthetic was inspired by Polaroid camera photos, it’s no surprise that very first Instagram logo created by Instagram CEO and co-founder Kevin Systrom looks like a knockoff of a Polaroid camera. It was quickly replaced by a logo designed by Cole Rise in the fall of 2010. Systrom said that he realized that the logo he created really had nothing to do with the Instagram app. However, if you take a look at the first post on Instagram, you’ll see how it looks like a Polaroid shot. In fact, if you take a look at the today’s Instagram feed it still very much looks like this. 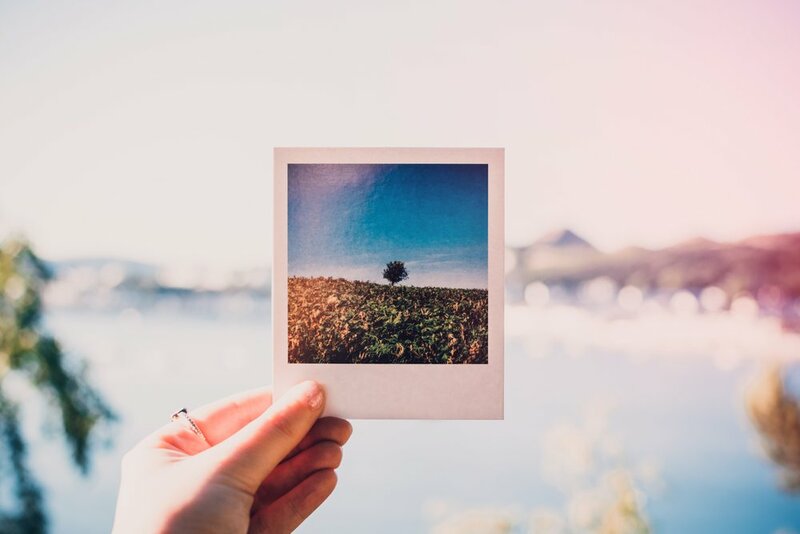 Looking back at the origins of Facebook and Instagram gives some insight into what drives each of these social media platforms and how they differ. Facebook, which was launched as TheFacebook on February 4, 2004 was a network initially limited to Harvard students, but later expanded to other colleges, and beyond. In 2005, “The” was dropped from its name after purchasing the domain name facebook.com for $200,000. Instagram was launched October 6, 2010, and it was initially created to be a simple photo sharing platform. Its name is a combination of the words “instant camera” and “telegram.” 18 months later on April 9, 2012, Facebook bought Instagram. There was lots of ground to cover in my workshop. I only had two hours to explain and compare how Facebook and Instagram work. 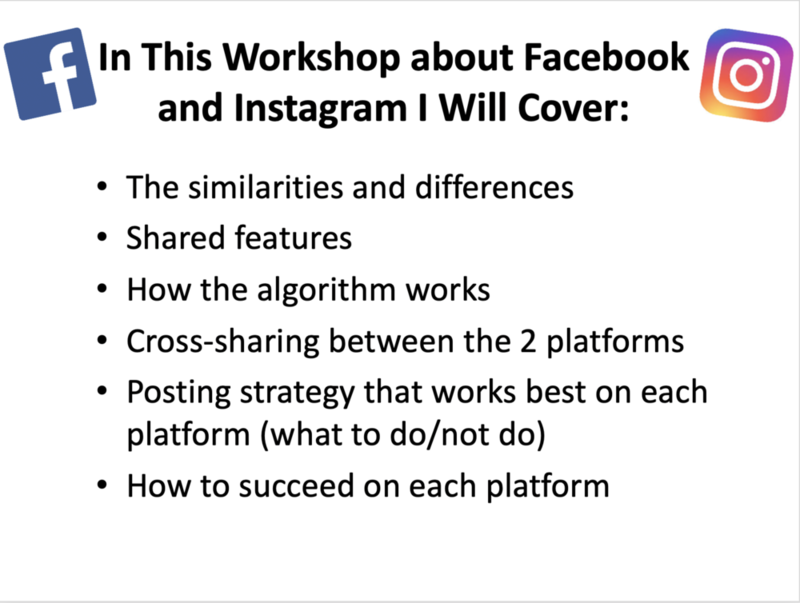 I covered the similarities and differences of Facebook and Instagram, their shared features, how the algorithm works for each one, cross-sharing between the two platforms, the posting strategy that works best on each platform and how to succeed on each platform. I’m looking forward to my next Instagram Workshop later this month on April 24th at Carpe VM! 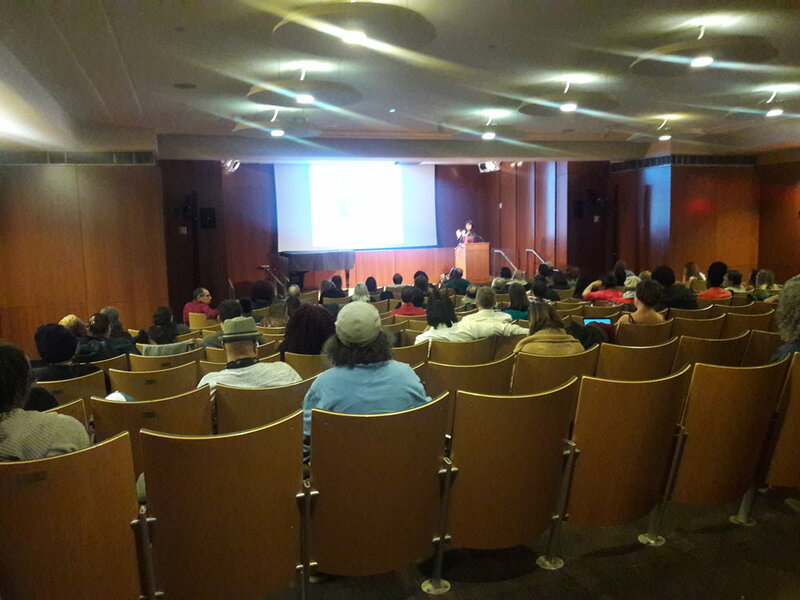 One lucky person at the Facebook and Instagram Workshop won a ticket to the Instagram Workshop! There’s still time to register for my next Instagram Workshop. You can do so by clicking here.